Similar to the penguins of Madagascar, the minions of Despicable Me became so popular that it spawned their very own movie released in North America in July — Minions. They’re seen all over our social media feeds and the movie has already made over $160 million heading into the second weekend — that’s not including the over $280 million it reeled in from outside of North America. 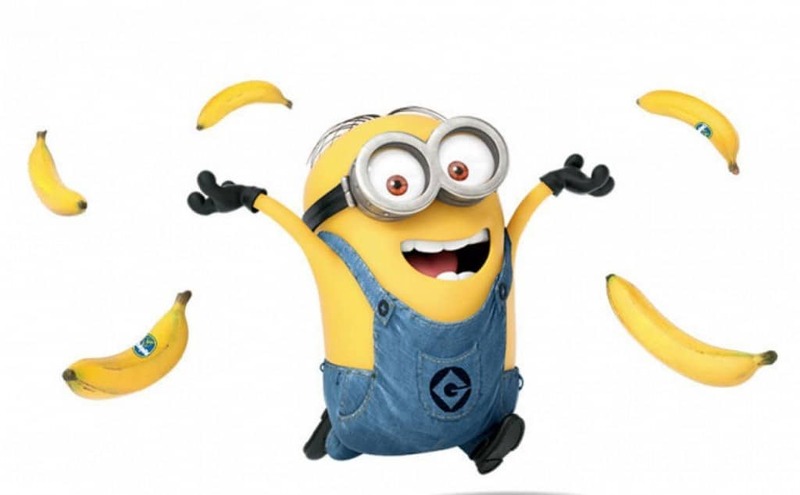 Here are some interesting facts that you may not have known about Minions. There’s plenty of directors that also play a lead or a big role in a movie, and Pierre Coffin is one of them. 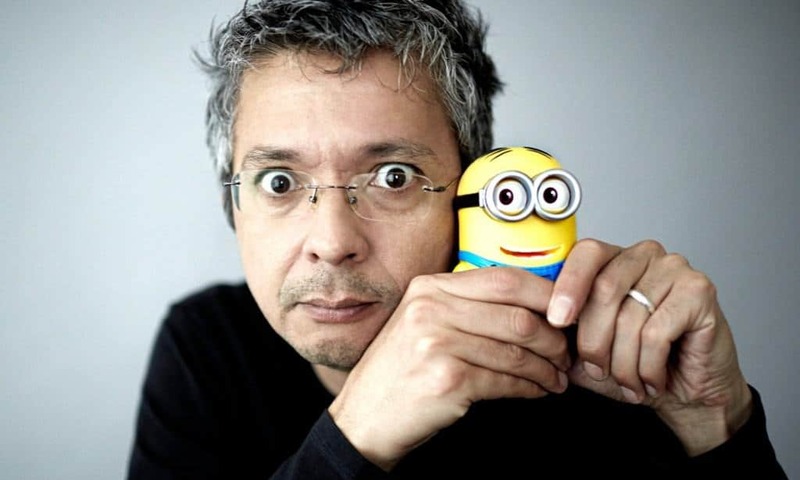 He voiced 899 minions in the movie. 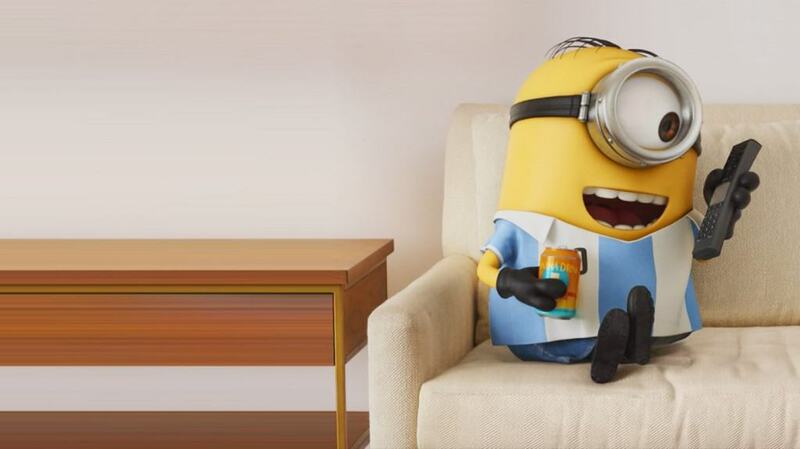 The “Minionese” language throughout the movie is actually a mashup of multiple languages and not just gibberish. Some languages featured are English, French, Spanish, and Hebrew. 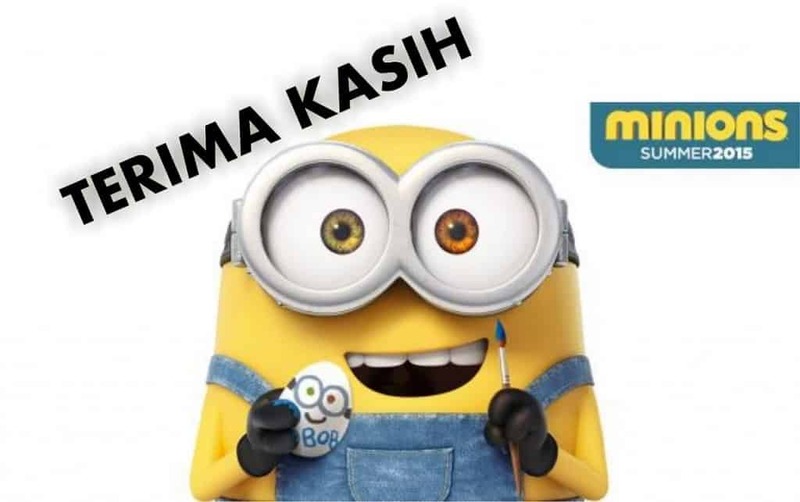 Some words in the minion language are taken from Bahasa Indonesia. For example, “kemari” and “terima kasih” mean “come here” and “thank you,” respectively. This is influenced by the director’s Indonesian mother. Kevin, one of the minions, frequently uses the phrase “se pa la.” That’s also a Spanish expression that means “who knows.” The minions also say “gracias,” which means “thank you” in Spanish. 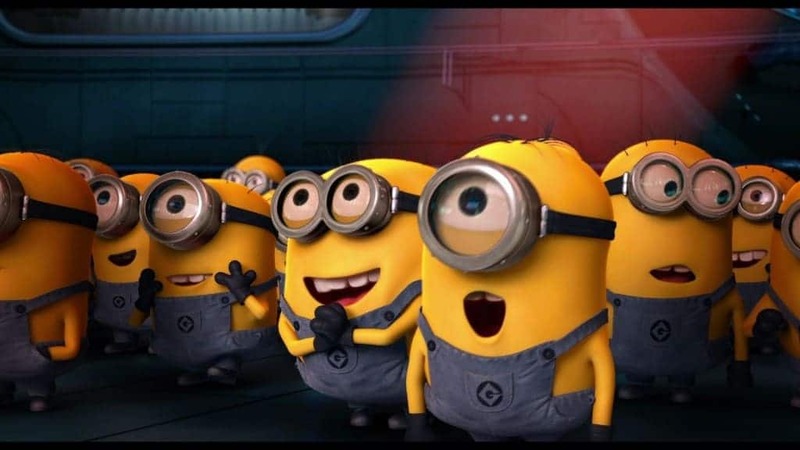 Interestingly enough, the minions say “thank you” in multiple languages throughout the movie (they also say it in Malay). 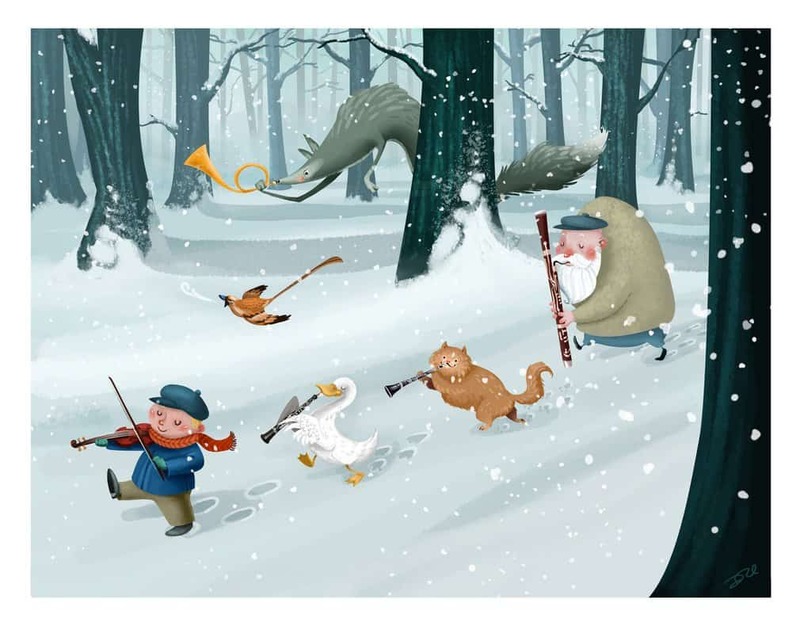 The background music during the bedtime story scene (that features a wolf) is a composition by Serge Prokofiev called Peter and the Wolf, which was written for the children’s story back in 1936 in the USSR. 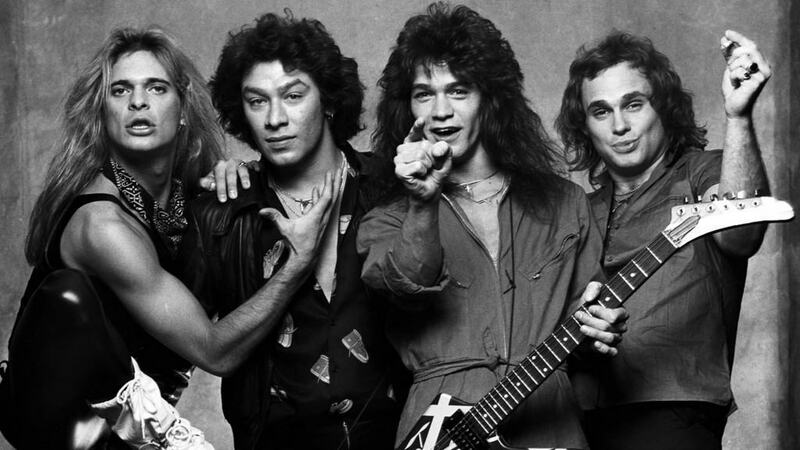 Stewart’s song that he plays on the electric guitar is Eruption from Van Halen, which was released back in 1978. Because the movie takes place in 1968, this song would have not been released yet. A sign that says “Abbey Road” is a reference to The Beatles’ 1969 album, Abbey Road. 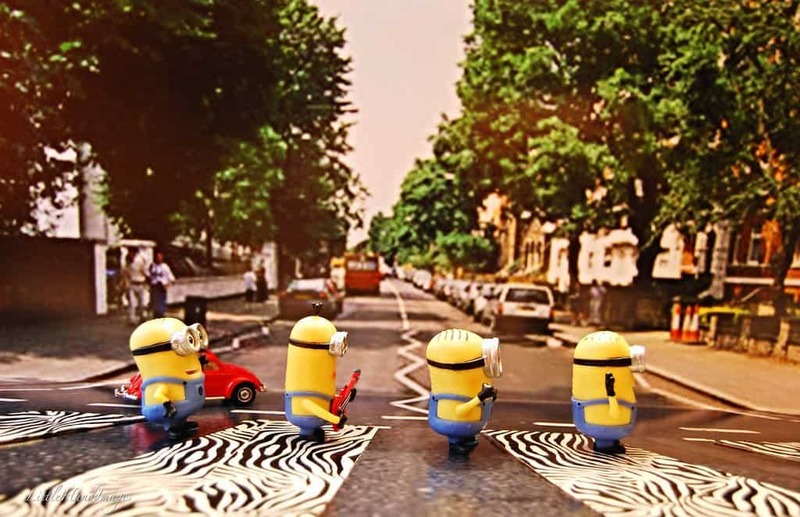 The album’s artwork is also referenced when the minions walk across the street. 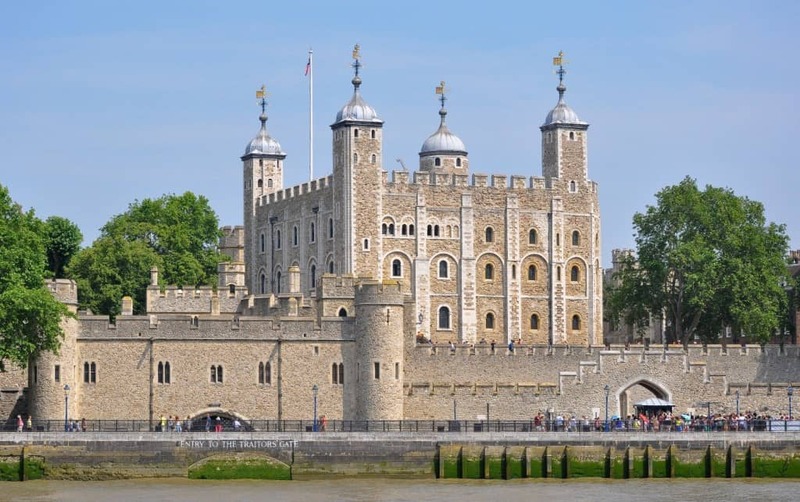 England didn’t have a decimal currency until 1971, but an entrance fee to the Tower of London was shown. Once again, the movie takes place in the year 1968. 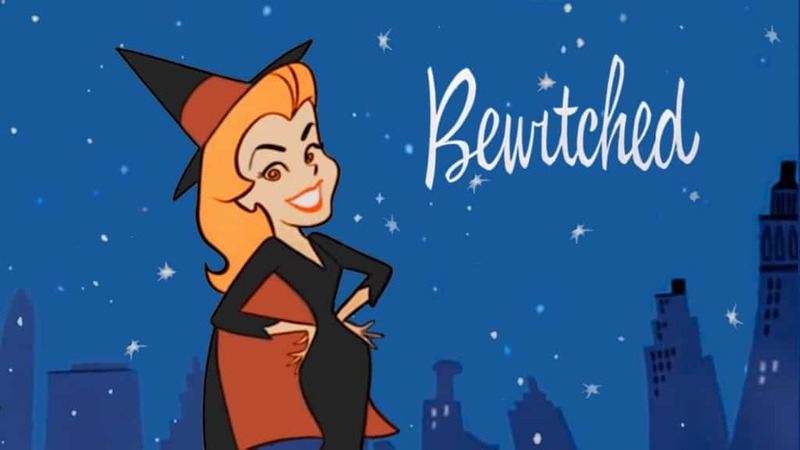 TV shows that were on when the minions were in the department store scene were The Dating Game, The Saint, and Bewitched. 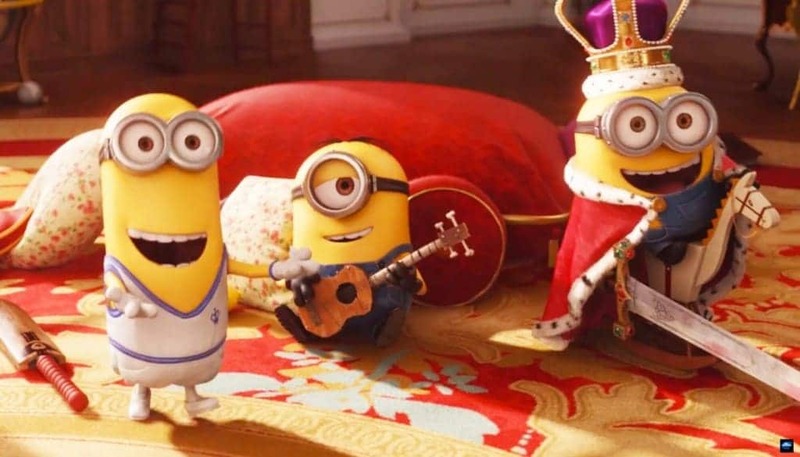 Bob’s British Royal Crown was also seen in Despicable Me when all the minions were giving their treasures to Gru. Sandra Bullock generally plays a nice role or a “heroine” in her movies, but this is the first movie that she’s depicted as a villain. She is the voice of Scarlett Overkill. 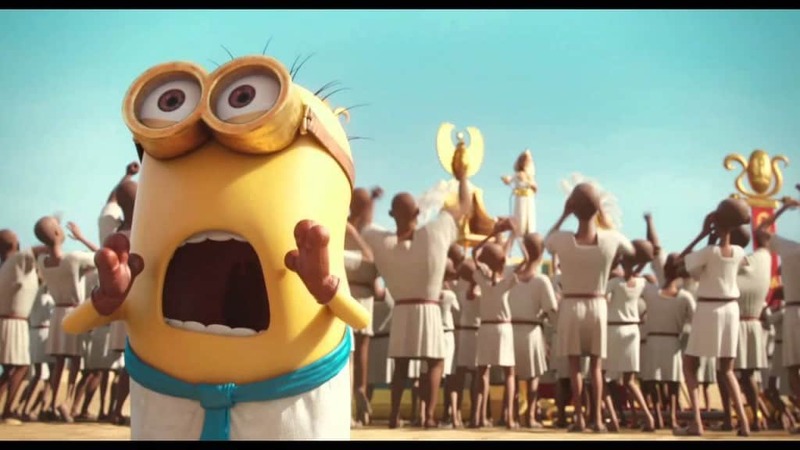 There was a teaser to Minions at the end of Despicable Me 2, but the minions depicted in the teaser changed their looks slightly in the movie. The movie is set in 1968, or 42 years BG, which means “Before Gru.” What happened in 2010? 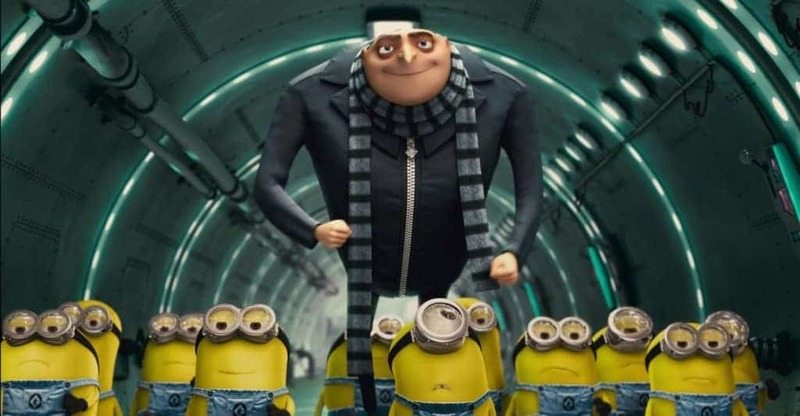 The first Despicable Me was released, when the minions made their debut. Sandra Bullock may have played a villain, but she still supported the minions by wearing inspired shoes to the movie’s premiere. 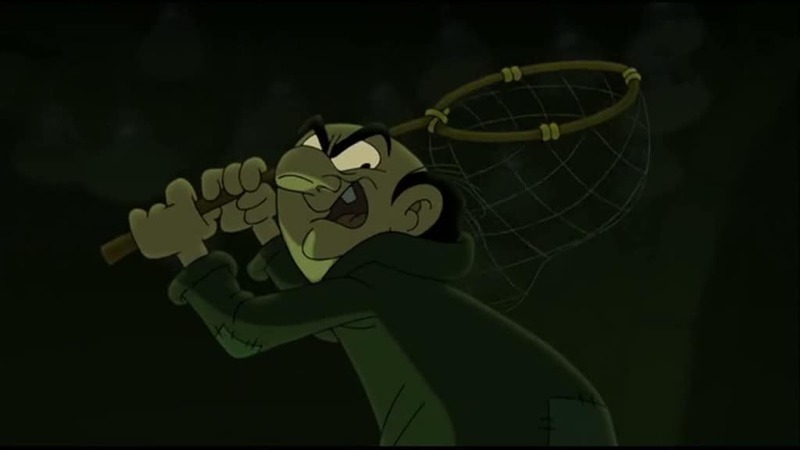 Gargamel from The Smurfs is found in the scene when the minions make it to Villain-Con 1968.